Remove All Stains.com: How to Remove Grass Stains From Shoes? How to Remove Grass Stains From Shoes? Grass stains on shoes are common stains. They can be as a result of playing regularly on grass such as playing football, cricket, badminton or any other game that is played on grass. Other than that you have a regular habit of walking in your garden to enjoy evening with your siblings which result in grass stains on your shoes. There are very few options that you can do regarding your shoes. First option is that you buy new shoes but doing so can be very expensive as shoes tend to cost high and even more in the case of branded shoes. So you really have to think about something else for your shoes. Second you can give it to professional cleaners, doing so would cost you around the same as buying new shoes would so really you have to think about something else. The best things you can really do regarding your shoes are to remove grass stain from shoes. The method you adopt or implement will vary depending on the type of shoes and after how long you are treating the stain. It is often recommended that one treats the Grass stain as soon as the stain is imposed on the shoes for better results. 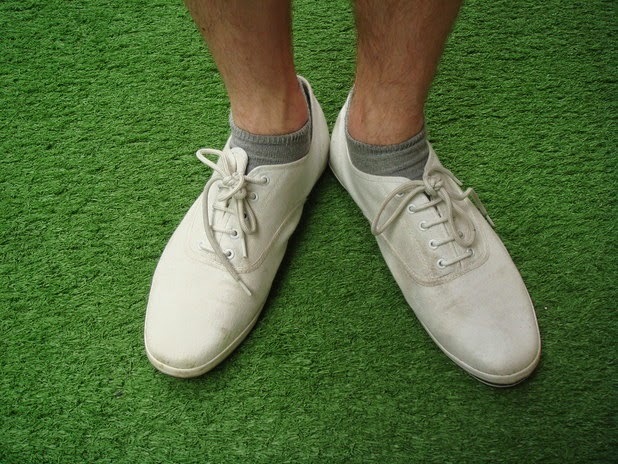 You can adopt any one of the following methods for the removal of Grass Stains from shoes. · Some mild laundry detergent. 1. First clean the vinyl shoes with wet piece of cloth by just wiping it once so that some of the grass stains are removed. 2. Then add some liquid detergent on a piece of cloth and wipe it on the outer of the sneakers making sure you apply well on the grass stain. Then keep it applied on for ten to fifteen minutes. 3. Using a soft brush you can then scrub the hard Grass Stains more effectively but make sure you scrub the stain gently rather than harshly. Using it harshly may further set in the marks. 4. Soak a piece of cloth in warm water and then wipe your vinyl shoes with that warm piece of cloth. 5. Grass Stains will be removed and your shoes will look tidy than before. 1. Lestoil is a commercial product that is best for removing stains from suede shoes. It is also widely and easily available in markets. 2. You have to pour few drops of Lestoil on a clean piece of cloth and then rub it on the stain area. 3. Keep it applied on the Suede Shoes for ten to fifteen minutes so that it can effectively work on the stain well. 4. Remove lestoil from Suede Shoes by dipping another clean piece of cloth in water and then wipe the shoes with that wet cloth. 1. Take a mild carpet cleaner and half fill a small bowl with it. 2. Take a soft sponge and dip it in the bowl. 3. Rub the spongy gently on the grass stains. 4. After wards dry the Canvas shoes with a towel. Shoes will be stain free. 1. Do not use bleach on Vinyl sneakers as it can cause yellow stains on your sneakers which you really do not want. 2. Try avoiding alcohol based cleaners such as finger nail polish removers, hairsprays or alcohols as it can damage the material of the vinyl sneakers. 3. Do not rub the stain with cloth as it can spread the stain further. People who workout in open space or go for a run or play any kind of sports can often relate to a situation where their shoes would have grass stains or mud stains. With regard to this, the author has written a very informative article about the ways in which one can clean the shoes of any stains. I have personally seen my friends seen my friends clean their canvas shoes with the help of carpet cleaner as described by the author. Moreover, for the vinyl shoes, the shopkeepers also advise using mild laundry detergent to remove the stains because they are very effective in doing it.